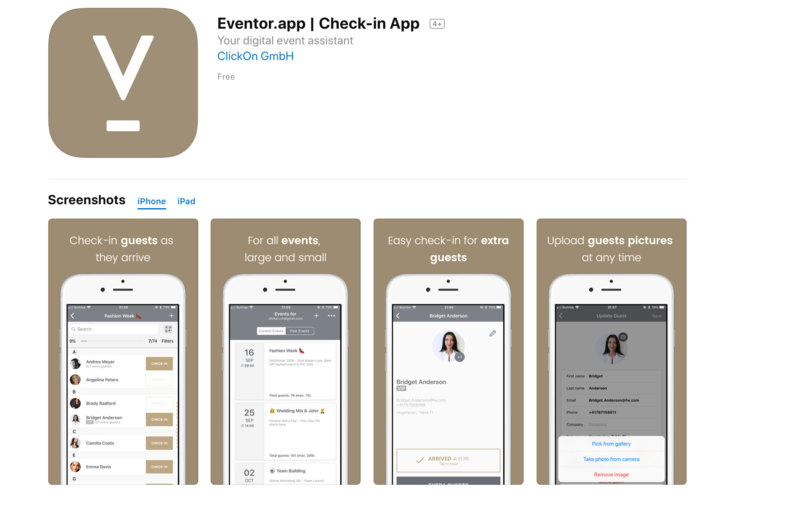 Where to find Eventor App for iPad & iPhone and what it can do. Our iOS App lets you check-in guests on your iPhone or iPad using several devices at the same time. It is perfect for event professionals, PR agencies and exhibitors. Eventor App will help you to upload guests pictures directly from the camera or picture gallery. For faster guest check-in you may use in-app QR-Code scanner. What about the Android App? Yes we do have an Android App, you can get the Eventor Android App from Google Play Store.